Forget about electronic books for a minute, as Blackwell's flagship store on London's Charing Cross Road has installed an 'Espresso Book Machine' which prints and binds books for customers in five minutes. Currently the Espresso can instantly print and bind almost half a million books (mostly out-of-copyright titles), with Blackwells promising to increase this figure to over a million by late summer – which is the "equivalent of 23.6 miles of shelf space, or over 50 bookshops rolled into one" observes the Guardian. "This could change book-selling fundamentally," said Blackwell chief executive Andrew Hutchings. The Espresso was voted one of Time magazine's inventions of the year. Blackwells hopes to roll them out across its 60-store network, following the trial at the Charing Cross store. 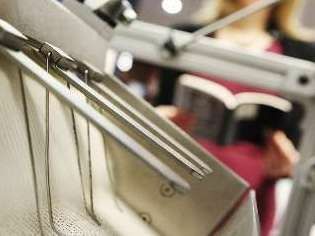 The machine costs $175,000 and prints over 100 pages a minute and attendees at this month's London Book Fair attested that the "quality of the paperback was beyond dispute: the text clear, unsmudged and justified, the paper thick, the jacket smart, if initially a little tacky to the touch." "It's giving the chance for smaller locations, independent booksellers, to have the opportunity to truly compete with big stock-holding shops and Amazon," added the Blackwell boss. "I like to think of it as the revitalisation of the local bookshop industry. If you could walk into a local bookshop and have access to one million titles, that's pretty compelling." For more head over to Blackwell's website.